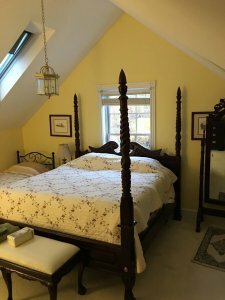 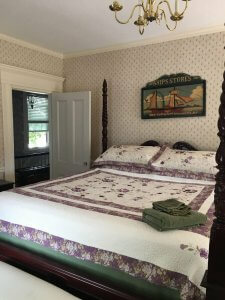 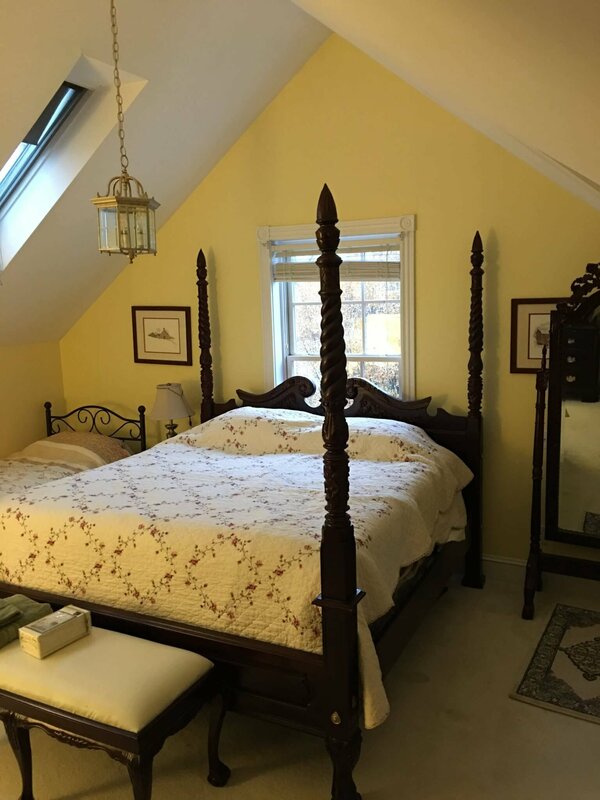 There are 10 bedrooms (with 26 beds) in total with 8 that are spread out over 3 floors of our beautiful former ship captain’s mansion and 2 that are in the adjacent carriage house. 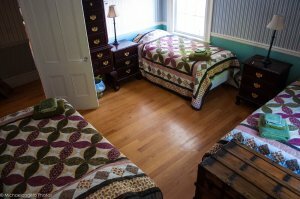 Each of the bedrooms has 9 foot ceilings with new ceiling fans and are air conditioned. 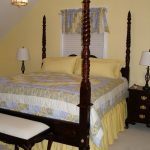 They are uniquely named and beautifully theme decorated. 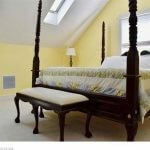 They are all either memory foam, pillow topper or high quality mattresses. 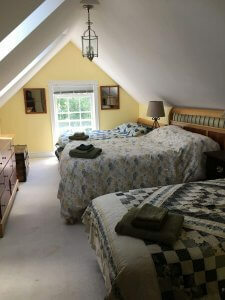 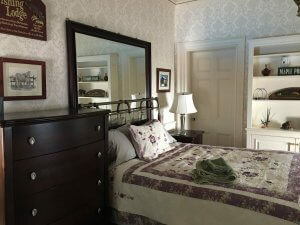 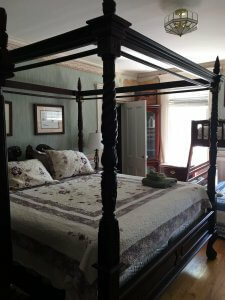 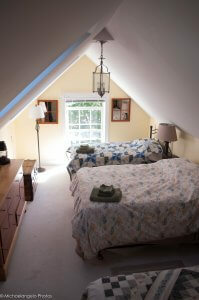 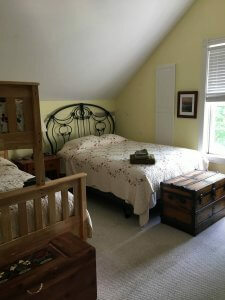 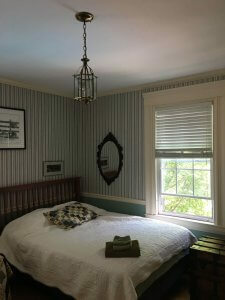 Most bedrooms also have 1 to 3 classic Maine/ Vermont antiques in it.